Thumprints was founded by designer Allison Davis in 2002. Davis began in the basement of her house designing lamps from found objects, including pottery made by a local potter, and hand-covering lampshades with unusual materials to complete her creations. She turned her creative energies into a wholesale business in the summer of 2002, launching Thumprints, based in Little Rock, Arkansas. In 2014 Thumprints was acquired by the American Lighting Brands companies and moved to the Framburg facilities in Bellwood IL. Embracing a variety of high-end materials such as sustainable wood, ceramic, art glass, natural stone and metal, and luxurious shade fabrics, Thumprints creations exhibit chic elegance with an artistic panache. 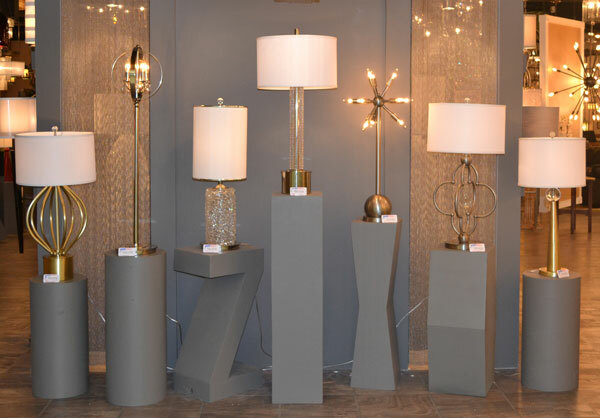 Thumprints offers a selection of table lamps, floor lamps, wall sconces, and pendant lights for transitional, contemporary and casual decors. Thumprints has permanent show space in High Point, IHFC IH114, and at the Dallas Trade Mart #3915.